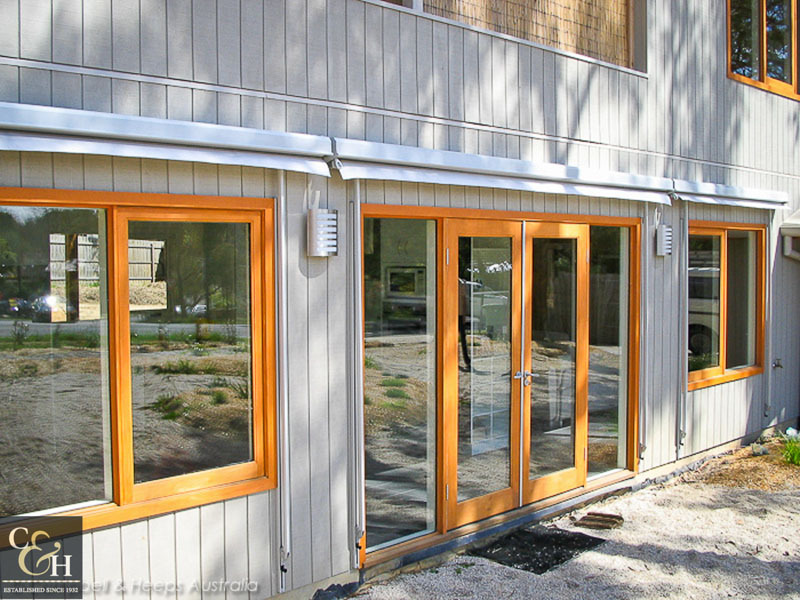 Why are the pivot arm awnings so reliable? 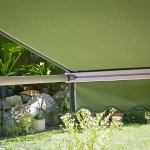 For a truly reliable and fantastic looking awning, the Pivot Spring Arm Awning covers all the bases. 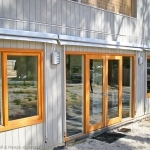 The fixed pivot arms are fitted halfway down the window on either side, the easy action brings the front rail around at an angle until it returns to almost flat against the wall. The angle created between wall and fabric allows for good airflow whilst still keeping the heat off the glass. 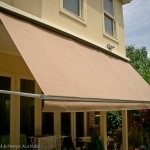 Wind the awning out with an easy to use the crank handle or the latest in push-button remote control. 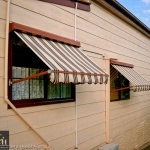 The pivot spring arm awning is a great option for bedrooms and living areas as the minimalist fittings create very little noise in the wind. A great range of fabrics and colours are available, the arms, hoods and front rails are available in a sleek anodized aluminium finish or Powdercoated in Dulux powder coat colour of your choice. 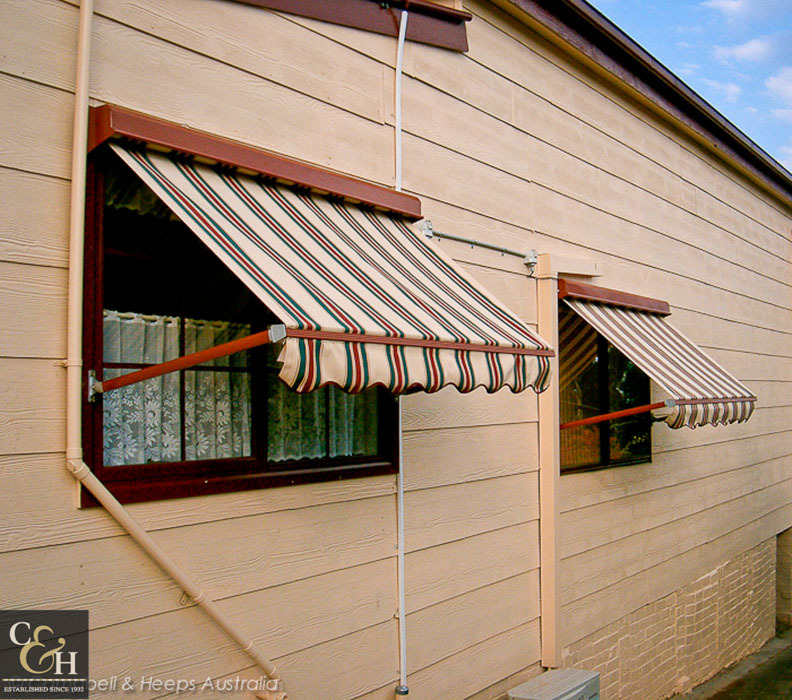 With the option of an exposed front rail or fabric valance, the final look is that of a classic modern awning. 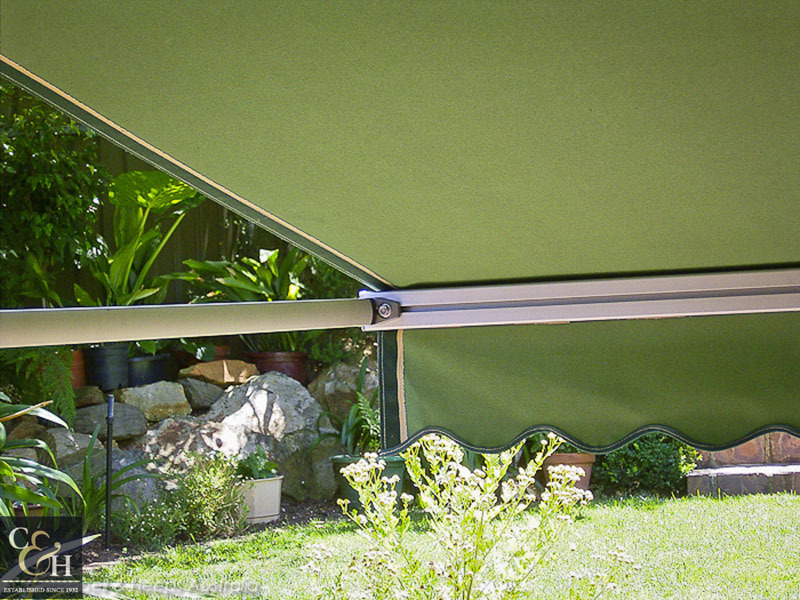 The Pivot Spring Arm awning also has an optional fitting system incorporating a sliding rail for the arms. 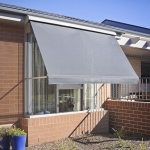 The Sliding Arm Awning is a truly multi-functional shading system. 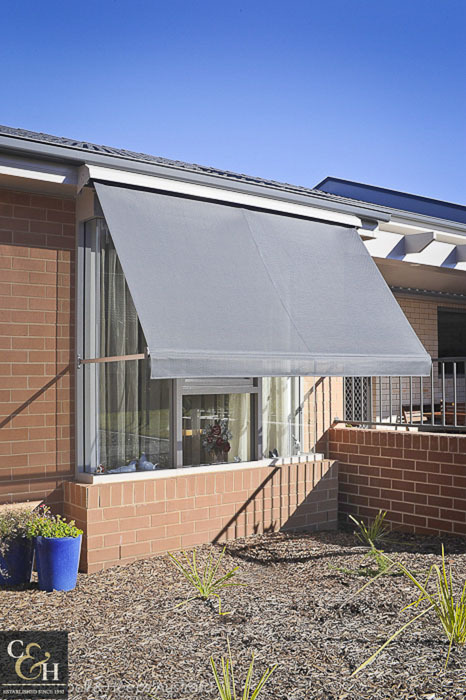 Able to be adjusted to project straight out and also drop down directly in front of the windows, the sliding rails give versatility to the sliding arm awning not seen in any other outdoor blind or shade system. 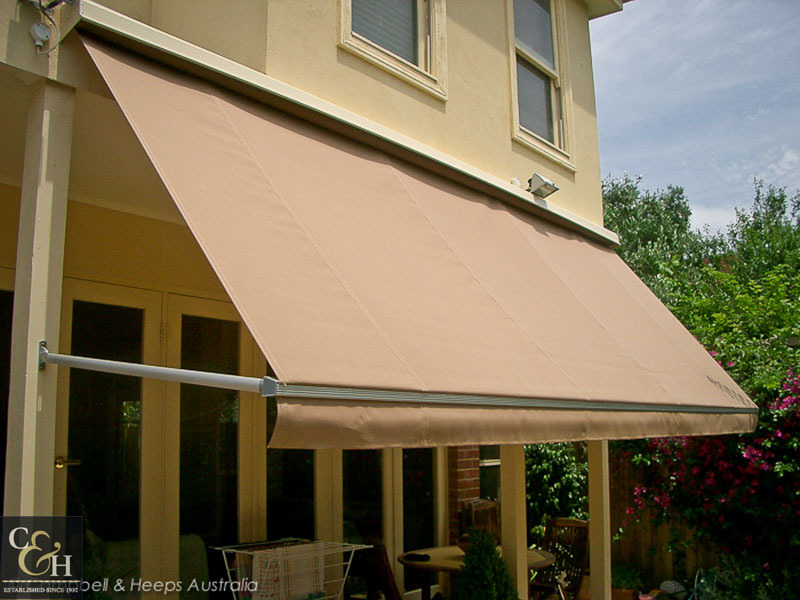 This outdoor blind is perfect for shading bi-fold or French doors, the sliding arm awning will cover and shade the doors as well as the area in front of the doors.